Awards and distinctions - a form of encouraging people for outstanding achievements in various fields of activity. Reward systems operating in different periods of the existence of a state are a reflection of its historical periods. Each country has its own history of military and civilian award marks, which continues its move to the present day, undergoing changes due to changes in the value system and the level of development of a country. Changing symbols, methods of making premium character, the degree of promotion of merit, but the need to express gratitude to people for their work in this way remains unchanged. Even in ancient times, people have established the need to express my gratitude to the members of their society for certain services in the form of awards and distinctions. In ancient times there were to be a collective and individual military awards. The first signs were the premium in the form of wreaths and crowns, which were given to all participants of the combat units, distinguished himself in the battle. The second consisted of the insignia in the form of chains, which were worn around the neck or wrist, and spears. Special variety of awards were breastplates, called phaleras. Initially, they were marking their position, and later became the distinguishing marks of foreign players. They were made of metal, usually silver and bronze, sometimes had gold plated and can be implemented in various forms, for example, a lion's head or Medusa. It is from the word "Falera" came the name emerged in the first half of the 19th century, the historical discipline for the Study of orders, medals and insignia - faleristics. In the Middle Ages, in the era of the Crusades in Europe, a new kind of distinctions - the Order, which were primarily military orders, who participated in the battles on religious grounds. Later, when the time of such strife a thing of the past, and these organizations are relegated to state military service, awards have become an indispensable hallmark of members of the army, consisting in the royal service. At first, this award sewn directly onto clothes and had a special form of a cross. Somewhat later, the star was added to the cross. They are made of metal, decorated with various precious stones and worn on the belt. • public and other awards. Thus, every system of awards and distinctions apart, however, for an ignorant man in this area is difficult to understand them. This entails confusion. Therefore, we give a brief definition of each system. 1. State awards - the highest form of promotion of citizens for outstanding achievements in various sectors and areas (defense of the Fatherland, the economy, culture, science, education, art, protection of life, health and civil rights, state-building, and so on.). State awards and medals are given together with the corresponding certificate and have their number. Commemorative medals and badges that came with the honorary titles, numbers do not matter. 2. 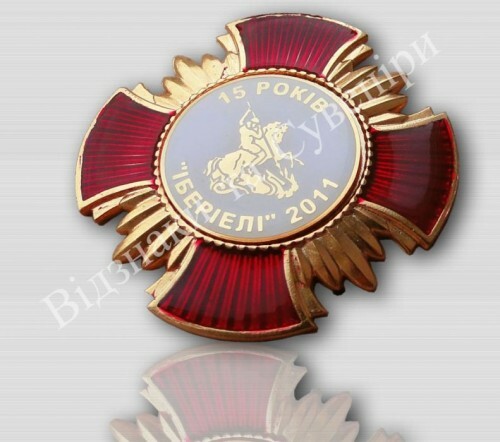 Government awards - awards, the decision to award which is the direct responsibility of the President of the Russian Federation. It is noteworthy that in contrast to Russia, Ukraine distinction awards at the state and government is absent. Awards of Ukraine can be divided into three main categories: government, agency and community. 3. 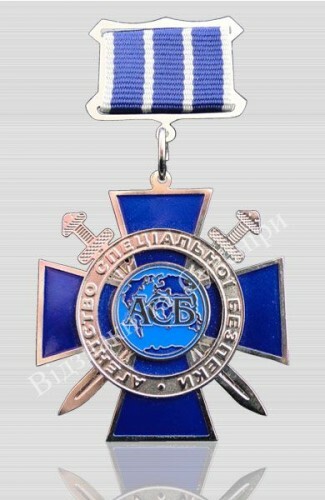 Departmental insignia - awards, the decision on which shall be made in the Russian federal authorities, and in Ukraine by public authorities. 4. Public awards - awards of non-state status, awarded by the person for certain social services organizations. The largest distinct group are public decals to award that is received directly leadership of an organization or institution. However, despite the non-state status of such distinctions, special attention in the development of their symbols, shapes, and other criteria, given their relevance to national regulations and patent law. In view of the manufacture of such signs, as well as awards that are most often bought in Kiev, you need to trust the specialized companies, as well-versed in the intricacies of specific legal and heraldic art. 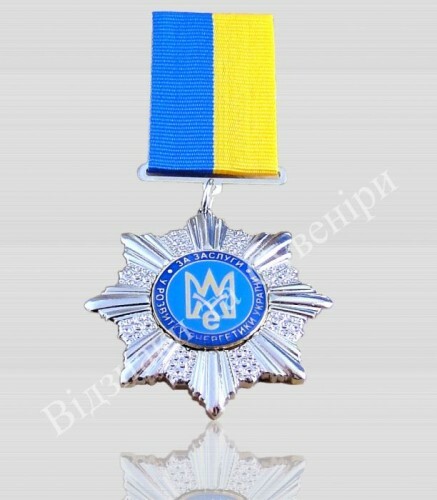 Some non-state honors status can be separate categories, such as public awards of Ukraine, awarded by the Cossacks or the Order "For courage and professionalism" Award instituted by the All-Ukrainian public organization, etc. Naturally, depending on the status of winning depends on the manufacturer. The decision to award the government and state awards, including some military insignia - it is the prerogative of senior management of the country. Their production is strictly regulated procedure and is carried out by specialized state-owned enterprises, such as in Russia, these are Gosznak and Mint. One example is the state orders and medals of Merit, for courage, for the difference in the protection of state borders, etc. Each award has a well-established line of state, heraldry, which represents its legal status. For example, the state military insignia are in a direct indication of the design features of the activities of a military formation, its objectives, and so on. Despite the fact that the departmental decorations and awards may be approved by the special competence of the authorities, do not fall into any of the three branches of government (for example, the Prosecutor General's Office, the electoral commission, etc. ), they also have the status of government. Therefore, they release them as fraught with a number of mandatory requirements and regulations and is carried out in highly specialized organizations. Military insignia can be both public and symbolic. The latter is the badges in honor of memorable or anniversaries, the right of presentation, which is available to commanders of military units. With public awards are a bit easier. Their production can be ordered in any organization, specializing in the production of such products. Especially in those of today there is no shortage. Use of the system of awarding marks of distinction as a promotion or selection of people and their activities in a given community (cultural society, club, association, foundation, association, etc.) has been practiced for a long time. But recently, with the development of corporate ethics and culture there is now considerable tendency on the part of various organizations and companies to set their own award system. Their main goal - to stimulate the staff to provide favors and recognition for their employees to improve their motivation. • Awards in honor of a particular event in the corporate life of the organization. Design, shape, symbols, materials and themes such awards can be very diverse. Due to the high demand for such premium products is engaged in the manufacture of a huge number of different companies and workshops. Typically, the list of services includes development of design and drafting of the future layout of the product, selection of optimum materials, coordination with the customer and the subsequent production. 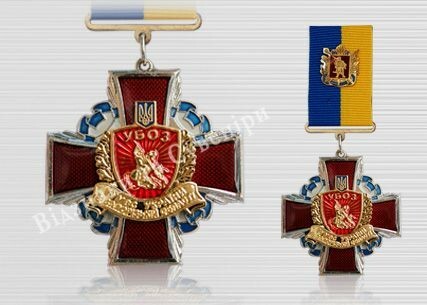 For example, awards Kiev include a large assortment of premium character, which includes honorary badges, certificates, awards, medals, cups, military insignia, and so on. Despite the fact that the appointment of premium products in one - it's promotion, semantic meaning they may have different. For example, allocate a reward for a contribution to the company or the community, and premium icons that indicate the man belongs to an organization or doing them any particular job. Past are likely to be part of the corporate ethics and issued to employees, for example, for the great passage of education, etc.